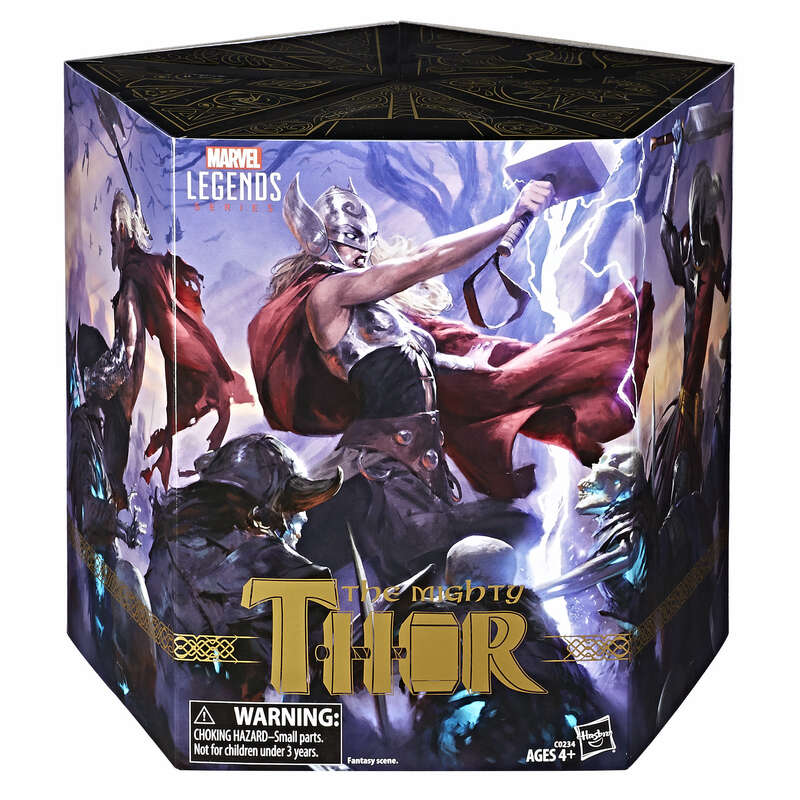 The Mighty Thor: Battle for Asgard 5-Figure Box Set will sell for $99.99 at the event, and will be available n limited quantities on Hasbro Toy Shop afterwards. See the photos after the jump. Same. If i can get one at cost or less i might bite but not a must have ror me. 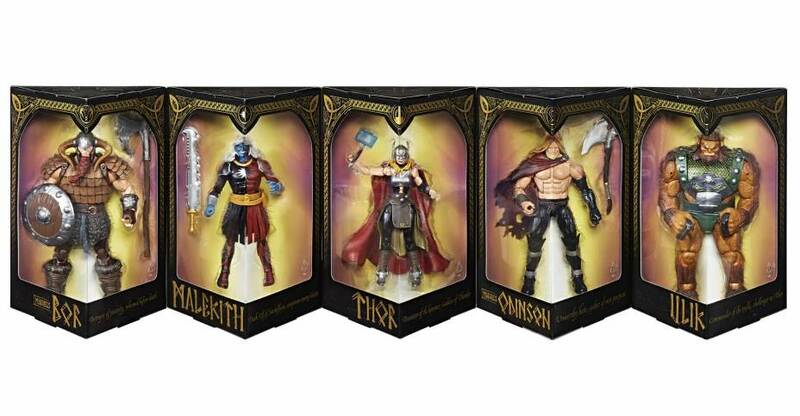 i don't really want the whole set, however i want odinson and ulik !! im hoping this isnt too pricey. I only want Bor, but no way in hell am I getting the entire set for him. I still haven't even been able to sell off Dreadknight. You two might want to scheme together, then - I bet you guys can find someone to take Thor and Malekith off your hands. 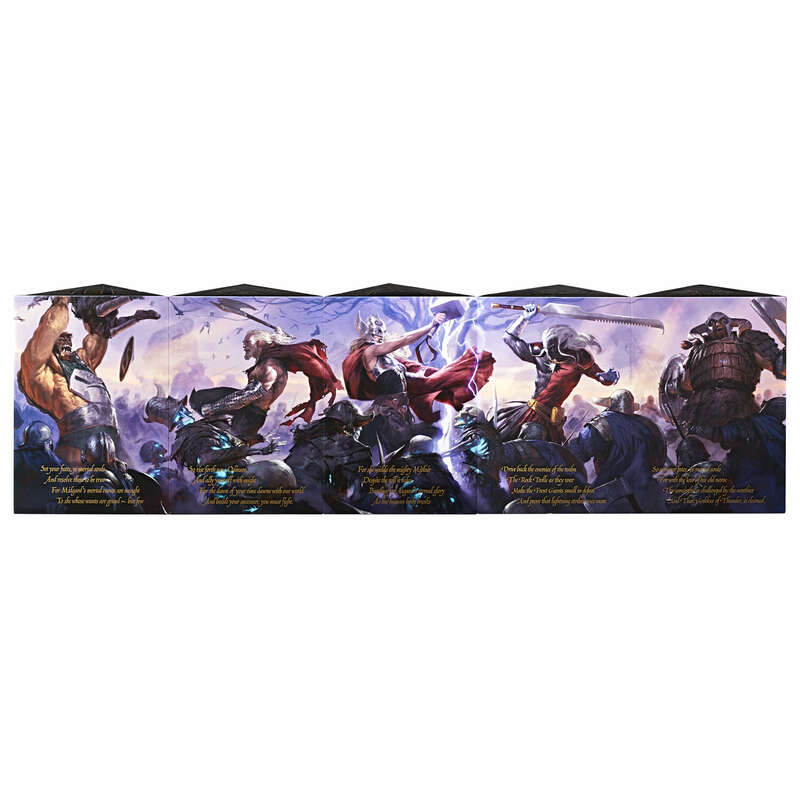 How much are you asking for Dreadknight? Odinson, like FosterThor, will definitely be getting a standard release later this year in the (first?) 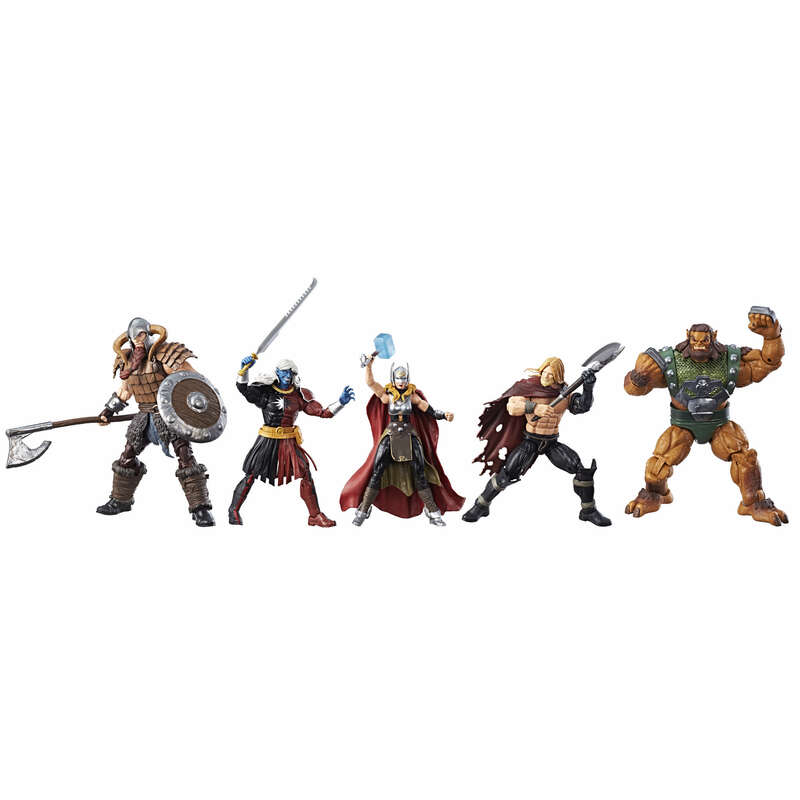 Thor: Ragnarok wave, and people are theorizing we Ulik might also be getting a standard release as the BAF of one of the Thor: Ragnarok waves. Surprised this set is so cheap...Aren't these usually 150ish or more...I'm hoping that the 3.75 box set will be less then 70 then. That would be nice. Not bad. I really like the Malekith, hope he sees a standard release. Especially with the sword. I'm iffy onthis wave, it really depends on what comes out of SDCC. I definitely want JF Thor but I'm 99.9999% sure she's getting a single release. Next is Malekith and that's harder one for me to not get the set for. Yet, I'm not sure I want him enough to justify getting a fifth SDCC exclusive in a row. 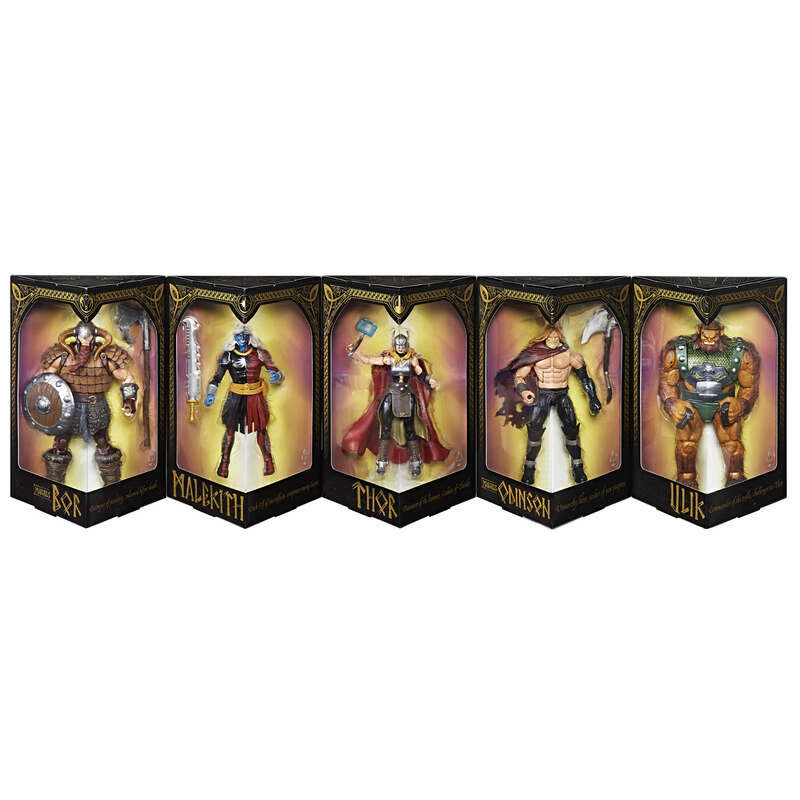 Odinson - I want this but I'm also thinking he'll be in a single pack. Yet if he's not, and he's only available this way, I'm not going to be totally bummed if I missed out. Borr - I want him but he's not a must have or anything. I definitely wouldn't buy the set FOR him, but would get him single carded. Ulik- Meh. I probably wouldn't get him single carded so he's definitely not one I'm interested in getting the set for. He looks good though just not that interested in the character. Though I'd certainly keep him if I got the set. Isn't Bor a sexist and anti-Semite? Why would they make a figure of such a controversial figure? With a new head and paint and axe I can totally see the Bor being remade into an Executioner. I had him on ebay for $35 for 8 months with not a single buyer. Because this is a set for collectors, sold at a convention and online, and not directly marketed to kids. Even so, a villain is supposed to be evil anyway, so other media depictions where kids would become familiar with the character would lack those aspects nor would they even know unless others brought it up and told them/showed them. He's nowhere near as prolific as Sabertooth and Joker. And they've got even more disturbing histories yet still get figures. Sexist yes, but I'm not sure about anti-semitic? There is a line in Angela: Queen of Hel where he gives "unsolicited opinions on Israel" but it didn't say what those opinions were. I wouldn't say he was controversial particularly, he's a bad person but it's not like an action figure is endorsing his views or something. They've made toys of Red Skull and he's a freaking Nazi. Anyone going and want to get a set for me? A better "ex-Nazi" example would be Baron Zemo, who straight-up went back in time and beat up his father for thinking the Nazi viewpoint was a good one. Ulik is the only must have for me outta this wave. I'll wait till Hasbro does the real Thor in his classic look.